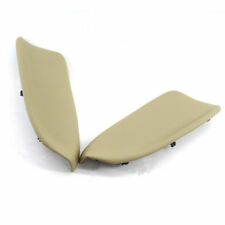 Features: Condition: New Includes: Driver & Passenger Side Easily Slips Over OEM Armrest Not Universal Fitment Material: Leather Color: Beige Manufacturer Part Number: Left: 83553-TA0-A31ZC, Right: 83503-TA0-A31ZC Fitment: Fit for Honda Accord 2008-2012 (NOT fit for Coupe model) Package List: 2 * Door Panel Armrest (left & right) Note: This Item only Fit For Left Driver Car, Please Check and Confirm it before Taking the Order. Features: Condition: New Includes: Driver & Passenger Side Easily Slips Over OEM Armrest Not Universal Fitment Material: Leather Color: Black Manufacturer Part Number: Left: 83553-TA0-A31ZC, Right: 83503-TA0-A31ZC Fitment: Fit for Honda Accord 2008-2012 (NOT fit for Coupe model) Package List: 2 * Door Panel Armrest (left & right). 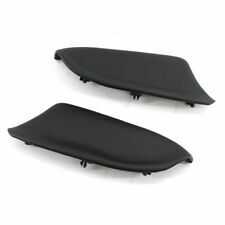 2 Door Panel Armrest (left & right). Material: Leather & ABS Plastic Base. Color: Black. 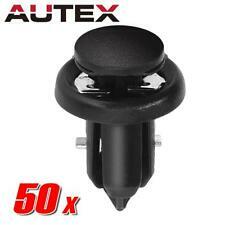 Black Interior Door Grab Handle Switch Bezel Trim for VW Golf MK4 3B1867171E. We will reply you ASAP. 2Pcs Matte Black Front Kidney Grille Hood Grill For BMW E83 X3 2007-2010 08 09. 2 Door Panel Armrest (left & right). Color: Beige. Material: Leather. 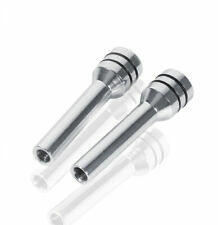 Lower Set Suspension Ball head for VW Audi 1K0 Sedan. Fit for Audi VW SKODA Pigtail Plug Wiring Harness Adapter 4 Pins 1J0 973 704. 2 Door Panel Armrest (left & right). Material: Leather & ABS Plastic Base. Color: Black. Car Rear Left Door Grab Handle Fit For VW Jetta Golf MK4 1999-04 03 ABS Auto. Black Left Side Door Handle Recessed Grip Window Switch Panel for BMW F10 10-16. The DOOR is in good condition, But it does have dents circled in yellow ink. OEM AUTO BODY PARTS. 2018 - 2019 HONDAFIT SPORT (SPORT Models ONLY). Sport Pedal Set M/T. We make every effort to represent what these parts are and what vehicles they fit. Galpin Honda wants to be sure you are getting the item you want or need. This is a set of door stoppers removed from a 2008 Honda Fit Sport with manual transmission. Honda Parts Unlimited. a pretty image. We want you to be 100% happy with your order. 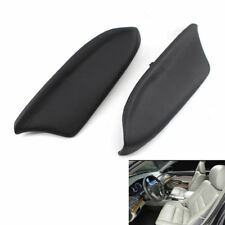 Left & Right Front & Rear Interior Door Panel Set. Fits 09-13 Honda Fit With Power Windows. 2009-2013 Honda Fit. For POWER Windows . Want to make a difference for your Car ?. This little lock cover will help! Have a try with our charming stainless door lock cover ！. This door lock cover is make with stainless steel which is very flexible to ensure the correct fitting and easier installation. 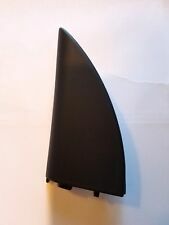 PART: 2007-2008 Honda Fit Sport Rear Left Door Panel OEM. 2008 Honda Fit Sport. 2007-2008 Honda Fit. · NO checks. · cash in person. · Most major credit cards. THIS IS 2016 Honda Fit Rear Interior Door Panel Left 2k miles. WILL FIT AND WORK IN 2016 Honda Fit, Vin: JHMGK5H58GX026293. 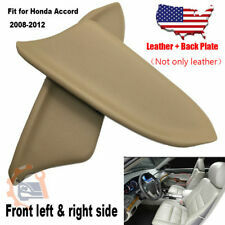 Rear left driver side door panel removed from a 2007 honda FIT. . P lease read below >>>>>>. Truly Affordable Sales Automation. 2008 Honda Fit Sport. 2007-2008 Honda Fit. · NO checks. · cash in person. · Most major credit cards. shipping and local pick up available genuine 46k MILES! THIS IS 2016 Honda Fit Rear Interior Door Panel Right 2k miles. WILL FIT AND WORK IN 2016 Honda Fit, Vin: JHMGK5H58GX026293. The part listed is used, but in good condition. Alaska Puerto Rico and Hawaii are not included. 2009 HONDA FIT SPORT A/T. LEFT DRIVER SIDE. COMPATIBILITY: 2009-2010 HONDA FIT. REAR INTERIOR DOOR;. Ø To avoid these costs, make sure to examine all photos of the item before purchasing. Location MUST have loading dock or fork lift to unload the freight truck. THIS ITEM IS OEM AND IN GOOD CONDITION WHILE SHOWS NORMAL WEARINGS. Item : Door Panel. Car manufacturer : Honda. All parts are OEM and are used. Car model : Fit. We will be happy to help. Used (Removed from Honda Fit 2015 with 3K Miles). - Door Latch, Door Handle, Lock Cable, Handle Cable. Side: Front Driver Side. Model: Fit. -You receive a defective item. 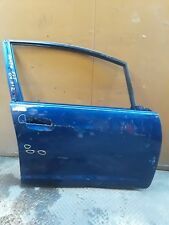 Up for sale we have aLEFT REAR INTERIOR DOOR PANEL removed from a 2007 Honda Fit 4door Hatchback. 2007 Honda FIT STD 4 Door Hatchback 2 WD Gasoline 4cyl Gasoline 1.5. 2008 Honda FIT STD 4 Door Hatchback 2 WD Gasoline 4cyl Gasoline 1.5. It will fit all Fit Models with power windows - 2009-2014. Honda calls this part the “Lining” and lists the color on the 2010 Fit Sport as “ KIRABI BLACK”. It is in very good to excellent condition. Parting a 2007 Honda Fit. 2009 HONDA FIT SPORT A/T. RIGHT PASSENGER SIDE. COMPATIBILITY: 2009-2010 HONDA FIT. REAR INTERIOR DOOR;. Ø To avoid these costs, make sure to examine all photos of the item before purchasing. Location MUST have loading dock or fork lift to unload the freight truck. WILL FIT AND WORK IN 2016 Honda Fit. 2015 HONDA FIT RR Door Trim Panel. Year: 2015. WE MAKE EVERY EFFORT TO DESCRIBE EACH PRODUCT TO THE BEST OF OUR ABILITY, BUT DIFFERENT PEOPLE MAY VIEW CONDITION DIFFERENTLY. also fits the following models. MAKE: Honda INTERIOR: Tan Type-L. YEAR: 2007 EXTERIOR: Blue B-528M. TRIM: Base. 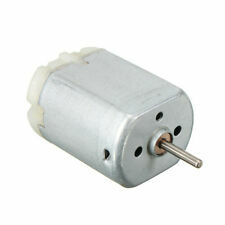 High Quality OEM Used Parts. MODEL: Fit TRANSMISSION: Manual. We test our parts. Honda Fit CVT EX 2016, 2017 Honda Fit CVT EXL 2016 Honda Fit CVT EXLN 2016 Honda Fit CVT LX 2016. 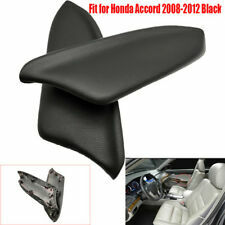 Part/Notes: REAR DRIVER DOOR PANEL (TRIM LINER) -BLACK. For clarity, passenger side refers to right side when sitting in vehicle, and driver side refers to left side when sitting in vehicle. WILL FIT AND WORK IN 2015 - 2016 Honda Fit. "Please Verify Color. Switches Sold Separate"
Inside Trim Panel Only!!!! Switches Not Included!!!! Honda Fit 6MT EX 2015, 2016, 2017 Honda Fit 6MT EXL 2015, 2016 Honda Fit 6MT EXLN 2015, 2016 Honda Fit 6MT LX 2015, 2016 Honda Fit CVT EX 2015, 2016, 2017 Honda Fit CVT EXL 2015, 2016 Honda Fit CVT EXLN 2015, 2016 Honda Fit CVT LX 2015, 2016.